We all could use a little bit of humor during the weekend to help us make it through the week. And thanks to Saturday Night Live's Weekend Update, that is exactly what we received-a little bit of humor. OK, so we are not the ones supposed to tell the jokes and we will leave that to the professionals. 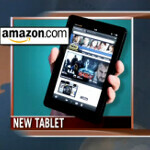 Anyway, Weekend Update anchor Seth Meyers and the SNL writers found a humorous subject in a device that we offered plenty of coverage on during the week-the Amazon Kindle Fire. With its $199.99 price tag designed to grab business away from the competition (which might be less of a lay up than you'd think since other big name 7 inch tablets have come down sharply in price), the Weekend Update report derided the Kindle Fire as a product that will sell well "among parents who always buy the wrong thing." The joke received a good laugh from the live studio audience which tells us that most of them must have been in an altered state, perhaps New Jersey. Darn, there we go again with the jokes. Anyway, it's all there below for you to watch just in case you didn't make it up past 11:30pm Saturday night. Oh, you can skip the first 45 seconds or so of the news if you want since that is when the story about the Amazon Kindle Fire starts to "spark" the audience into laughing. The joke was balls on accurate. Everyone who is anyone knows the iPad is the thing to have and what kids would want. It's like when I was a kid and got a magnavox odyssey 2 and everyone else had an Atari 2600.